This piece originally appeared in print in So It Goes Issue.4, Autumn 2014. 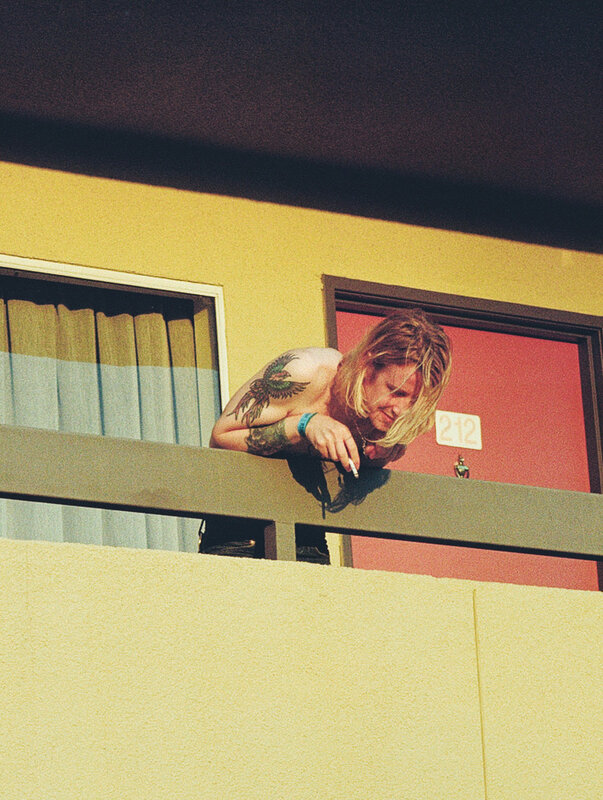 Ex-Girls frontman Christopher Owens draws gently on a menthol cigarette and looks out from room 105 of some motel in Santa Ana, California. It’s an hour before the start of the show and he’s just been handed a winsome yellow flower by a fan. He smiles and tucks it behind his ear. Owens is about to perform songs from his second solo album A New Testament. All long blonde hair and gentle rock star vulnerability, there’s more than a little of the Cobain about the uniquely gifted signer-songwriter. Like Cobain, the story of Christopher Owens is peppered with rich, filmic tales of drug use, cults, modelling, billionaire Texan benefactors, sexual experimentation and loss. Stacking supermarket shelves in Amarillo, Owens came across the oil tycoon and artist Stanley Marsh III. The eccentric billionaire hired him as a personal assistant and for nine years Texas was home and music was nowhere. Moving to San Francisco (with the intention of becoming an artist) however, changed all that and, at the age of twenty-seven, Owens became a songwriter. In July 2012, Owens announced that he’d be embarking on a solo career and almost immediately released his first solo offering Lysandre, written on one night in 2009 about a short affair with a French woman. The album divided opinion. Inspired by the storybooks Owens read during his childhood with the Children of God, Lysandre was a beautifully unique concept piece; intimate and confessional, but a radical departure from the avant-garde of Girls’ post-modernist energy. High-profile collaborations with Saint Laurent creative director Hedi Slimane and fêted photographer Ryan McGinley bookended his latest and altogether different offering A New Testament.